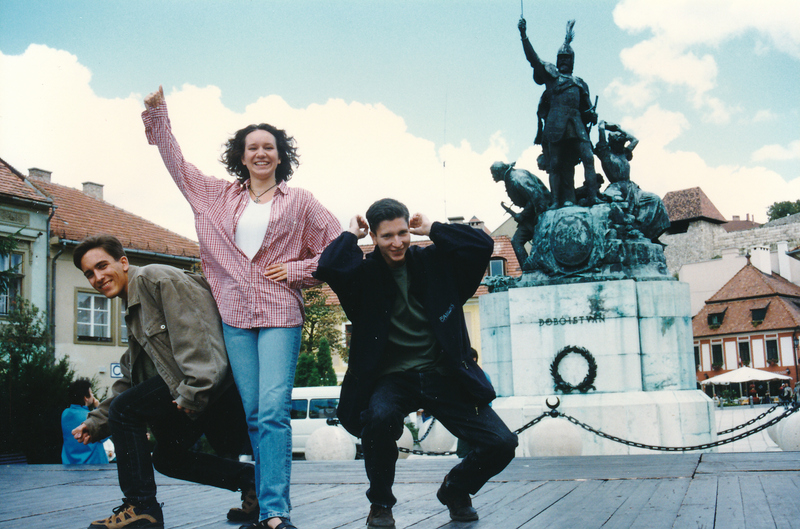 Nearly every AEGEE oldie has been at least once in Budapest. For example at one of the three Agoras in the Hungarian capital. Or at one of the many great Summer Universities and conferences there. No wonder that AEGEE’s alumni association Les Anciens was electrified when the members heard that this year’s general assembly will take place there in the last April weekend. And that’s not all: AEGEE-Budapest is organising a big event in parallel – in fact, oldies and current members will meet. Main LA organiser Zsuzsi Bukta told the Golden Times what you can expect from this great weekend. 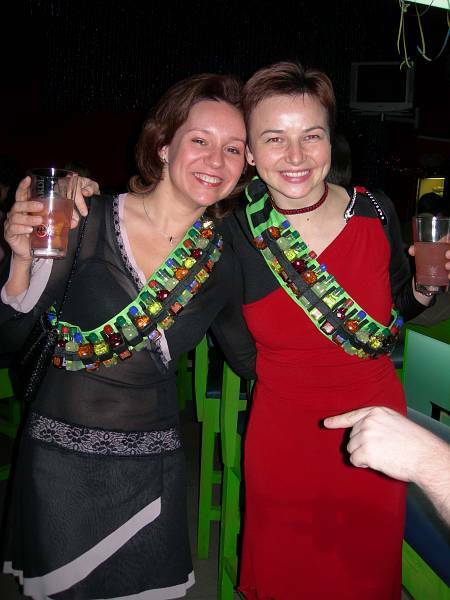 Zsuzsi (right) and co-organiser Mariann at the legendary LA New Year’s event in Budapest 2005/06. GT: LA Meeting in Budapest. Are you excited to host the general assembly in your city? Zsuzsi Bukta: Absolutely! 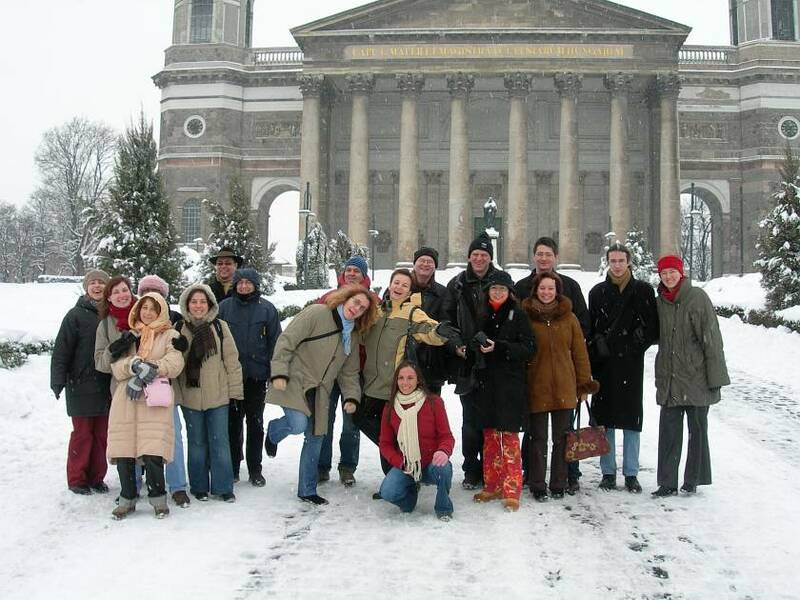 The New Year’s Event in 2005 in Budapest was one of my best AEGEE events ever. This is quite the same situation: few years have passed without meeting some good old friends. I hope many of them will come, besides, of course, Les Anciens members that I don’t even know. GT: How did it happen that you applied for organising the event? Was it a long dream? Zsuzsi: Last year Krisztina Németh and me joined the Les Anciens meeting in Costa Brava. At the general assembly – or even before, I don’t remember exactly – I mentioned in a low voice, by the way, that Budapest might be a host city, too. Everybody was so enthusiastic, considered it as an application, that I couldn’t step back any more… Alberto, organiser of the last one, also encouraged me. GT: What was your motivation to organise it? Zsuzsi: The motivation I told you already: there might be some old friends who come to see me and the other good friends in Budapest. And since at some recent meetings there were not too many participants, we all think that Budapest is an easy destination, very popular, so more fellows would join, hopefully also from Eastern Europe. GT: In the past you were not so active in Les Anciens, but recently started to attend more events. How come? Feel like a hero in Budapest! GT: When is the application deadline? Is there a limit of places? Zsuzsi: No, there’s no limit, anyone can come. The application period has just started, the deadline is 31st of March. Many people are interested and booked flight and hotel already. GT: Where and how can members apply? Zsuzsi: There is a google form, you can find it at the Facebook event and I posted it to the Les Anciens members list as well. Come to Budapest! This is a order! GT: What are the programme highlights? It seems is not only about the LA assembly, but also about Erasmus and Netcom? Zsuzsi: Well, AEGEE-Budapest decided to use this occasion to organise a meeting for active and alumni members. They planned an Erasmus anniversary gala and a NetCom alumni meeting, we’ll see how many people will be interested. As for the Les Anciens meeting, there will be the usual social programmme, with joint evening programme. The European Night will be on a boat on Danube. I hope for good weather, we would like to be a lot outside and organise child-friendly programmes. GT: How is the cooperation with AEGEE-Budapest going? How do you divide tasks? Also the post event in Eger is waiting for you! GT: Who among the oldies is also in the LA team? Zsuzsi: There is Mariann Kleszó, Krisztina Németh, Kriszta Erdős, Boglarka Balazs. Zsuzsa Kígyós also came to offer her help, and other AEGEE-Budapest oldies are also interested in being there. GT: What can you tell us about the post event in Eger? Zsuzsi: Three days of relaxation. Wine tasting, of course, excursion to the beautiful hills in the neighbourhood, visiting a Turkish bath, walking in the old city and medieval castle. Eger is a very cosy city, it is fun to just be there and walk around. Budapest is full of highlights! GT: Since you are the most legendary Zsuzsi in AEGEE, people might wonder how you are doing? What do you work, are you married, do you have kids? Zsuzsi: I am married for seven years now, my husband is a Hungarian guy. He knows some of my AEGEE friends and he enjoys their company. My little girl Eszter is almost four years old and she is wonderful. She will also show up during the event… Grandmother is already asked to be around… I work as an assistant professor at the University of Budapest, and I am also the president of the Hungarian Curling Federation. Zsuzsi: I can’t wait to be with all the people here in Budapest!